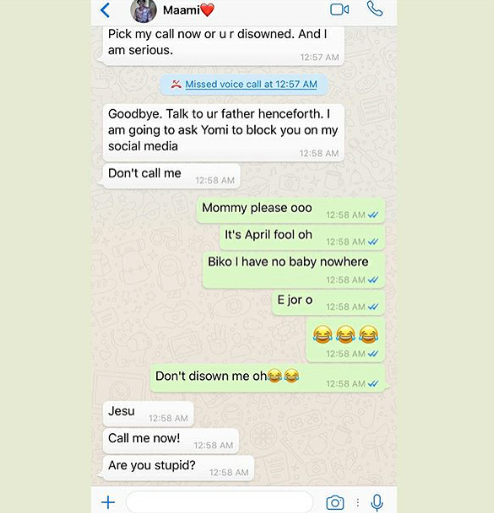 This is so hilarious...typical African mom. 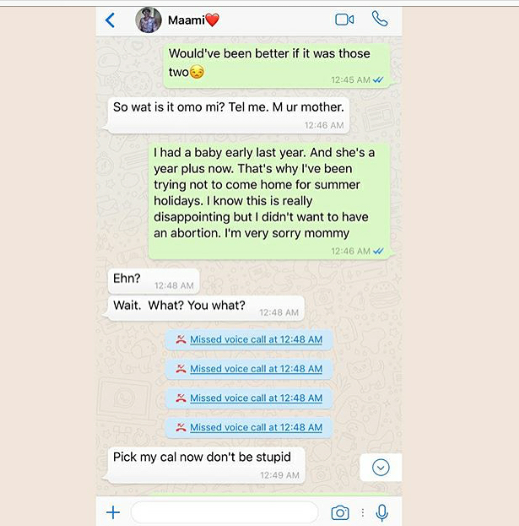 Sadly I didn't get to prank my own mom, her phone was off for a better part of the day. 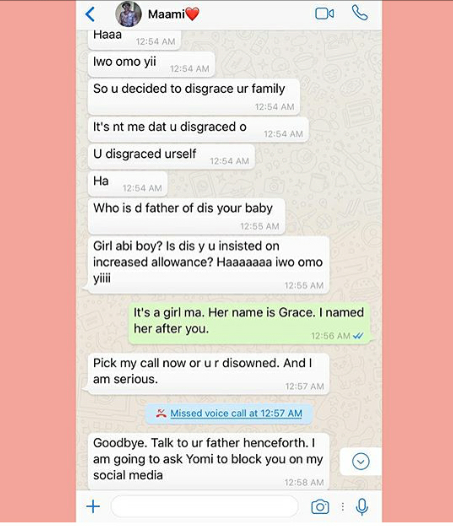 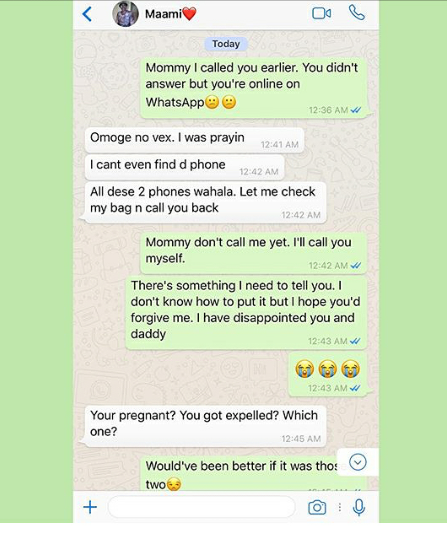 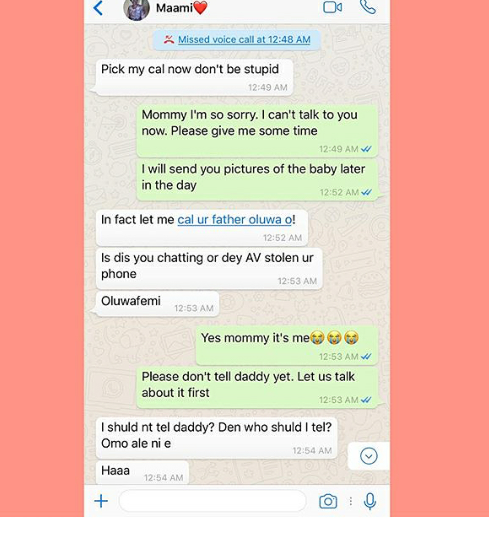 Read how this Nigerian mom reacted to her daughter's parank after her daughter told her she had a baby a year ago.